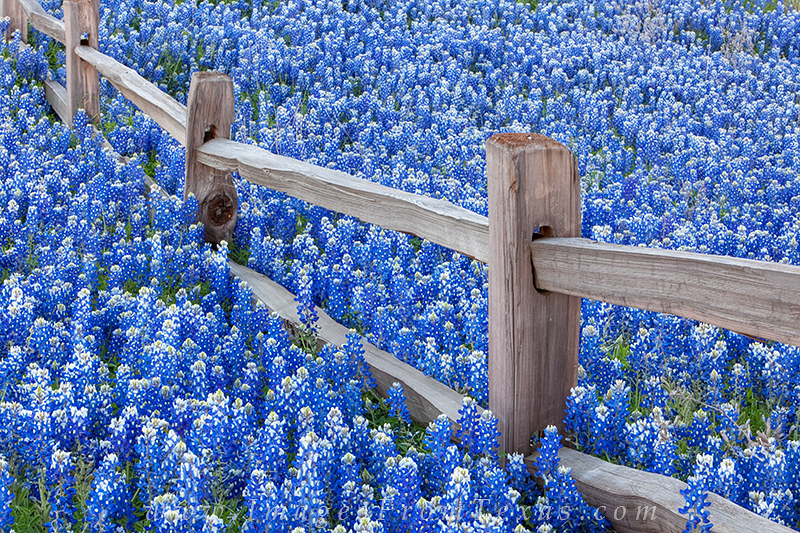 Each spring along a stretch of Highway 29, there is always the hope that this particular wooden fence row will be surrounded by a sea of bluebonnets. Some years are better than others. During this particularly wet spring, the rains allowed for prolific wildflower growth and some spectacular opportunities to capture unique Texas Hill Country scenes like this. Photo © copyright by Rob Greebon.